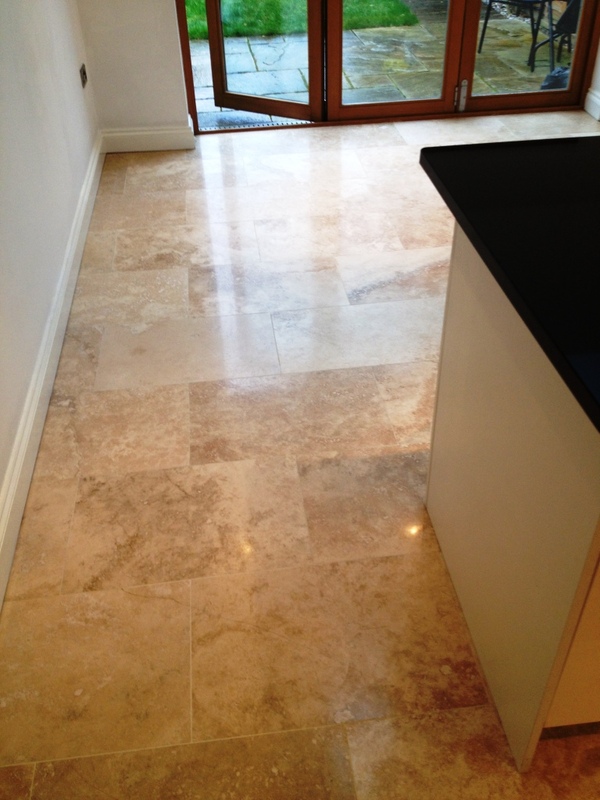 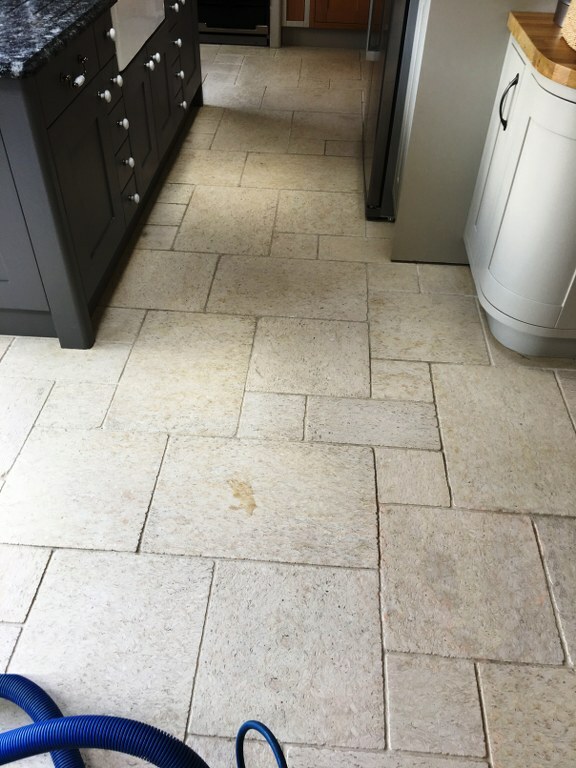 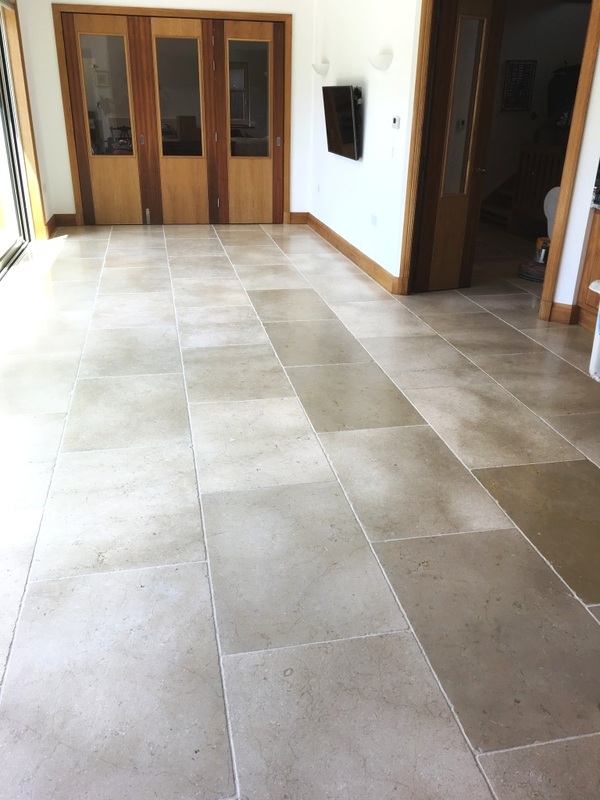 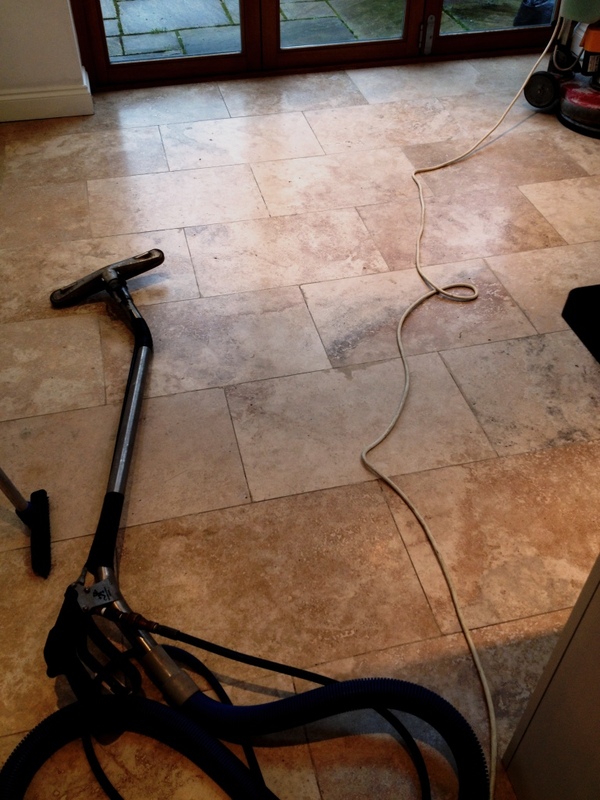 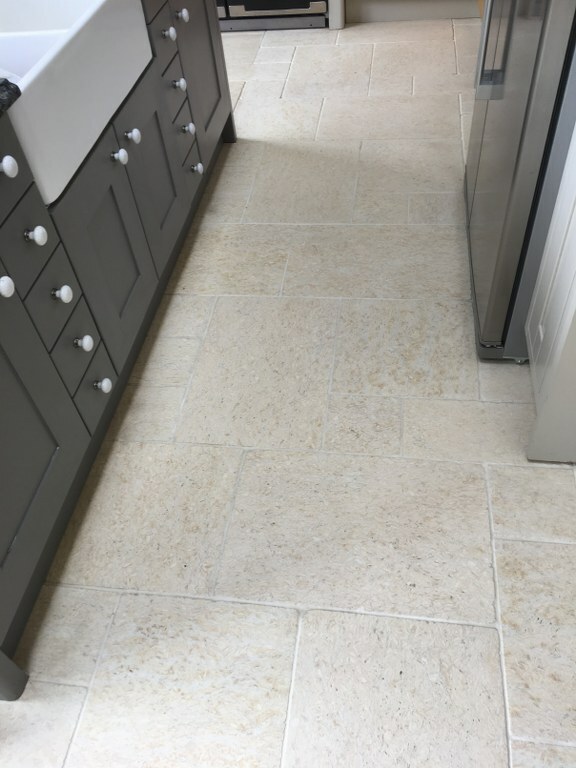 These Travertine tiles installed in the kitchen of a house in Hampton, Middlesex were looking flat and un-interesting and in need of some maintenance to put the life back into the floor. 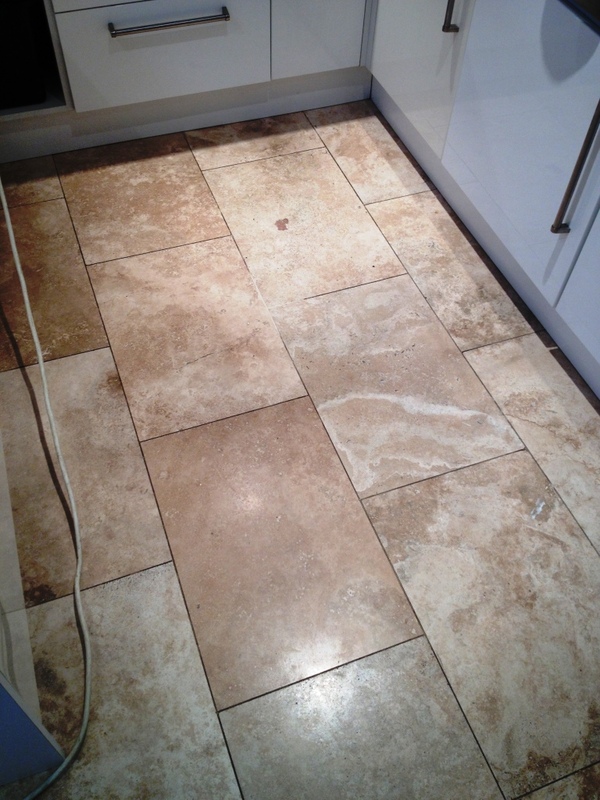 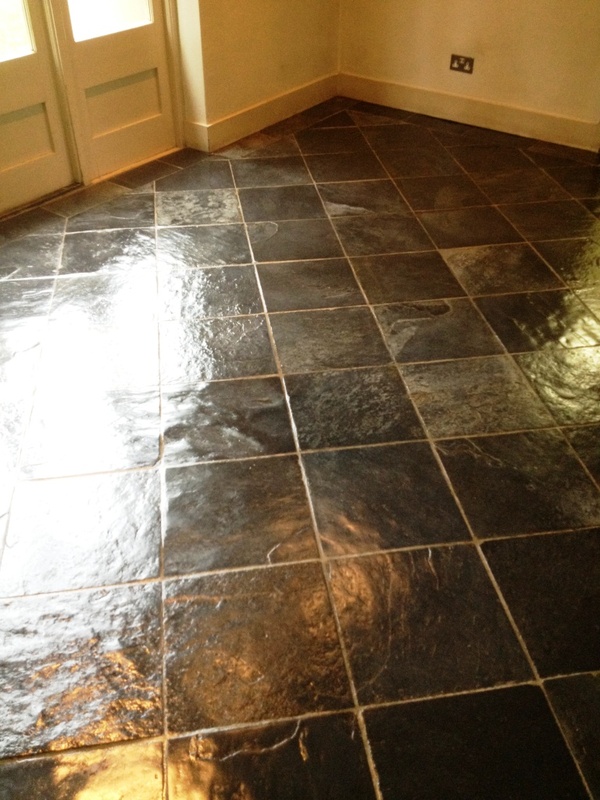 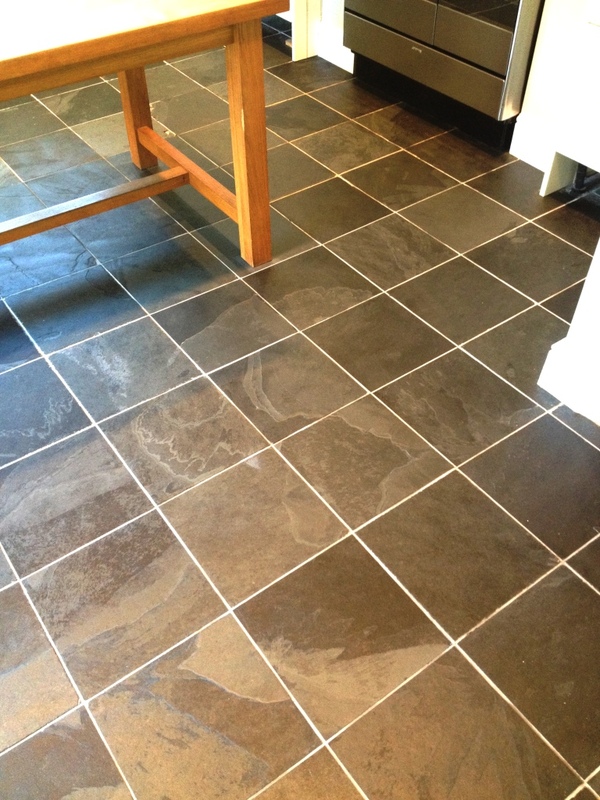 The old sealer had clearly worn down and had allowed soil to penetrate the tile and grout. 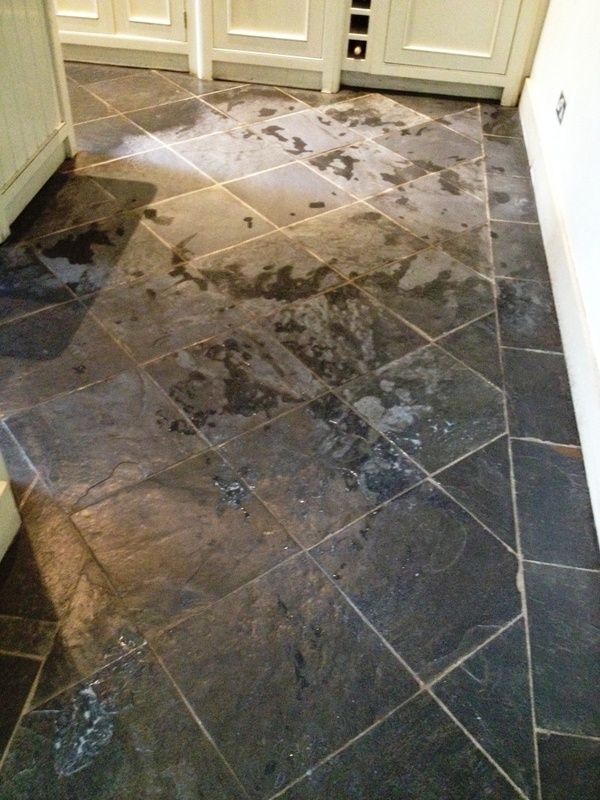 There were also acidic etch marks across the floor which would need polishing out. 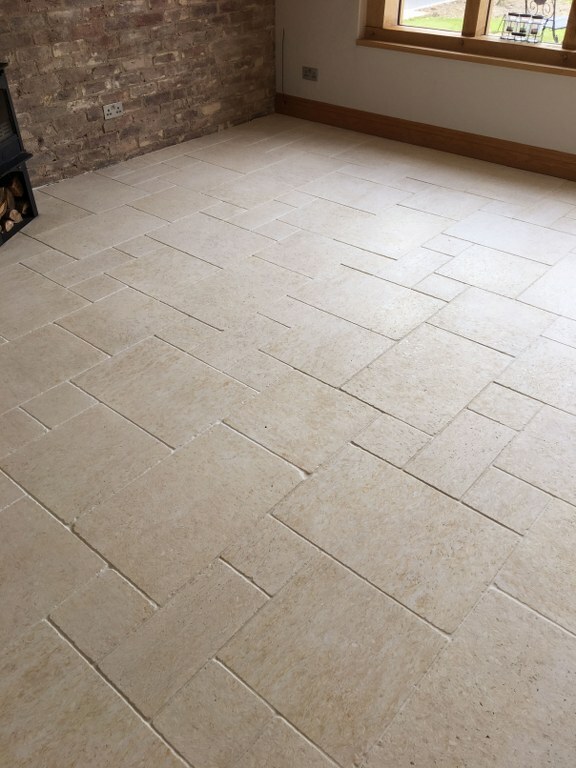 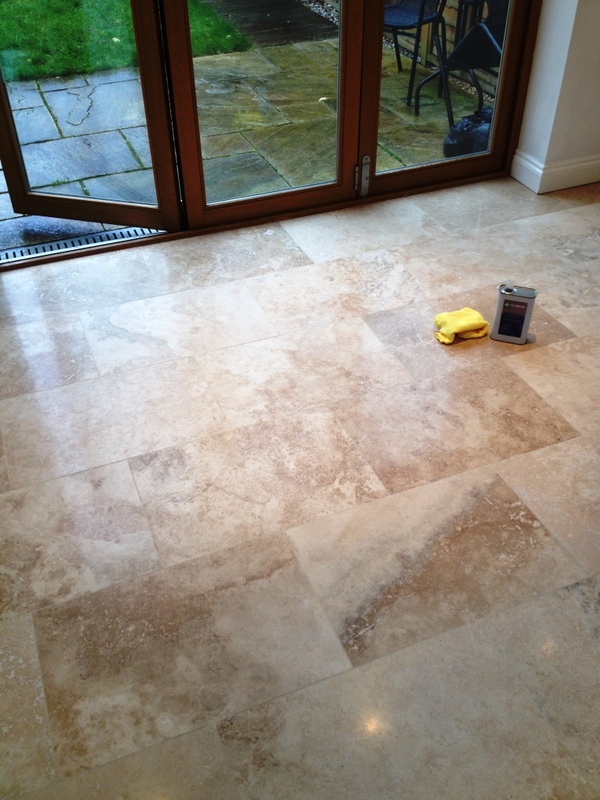 Fact is If you want a polished stone floor to keep its appearance then it will need a regular maintenance plan in place, without it the stone will lose its polish and start to look dull and un-inviting which I’m sure is a familiar story for many of you reading this post, the upside is of course that Travertine is an amazing natural stone which does look fantastic when properly maintained. 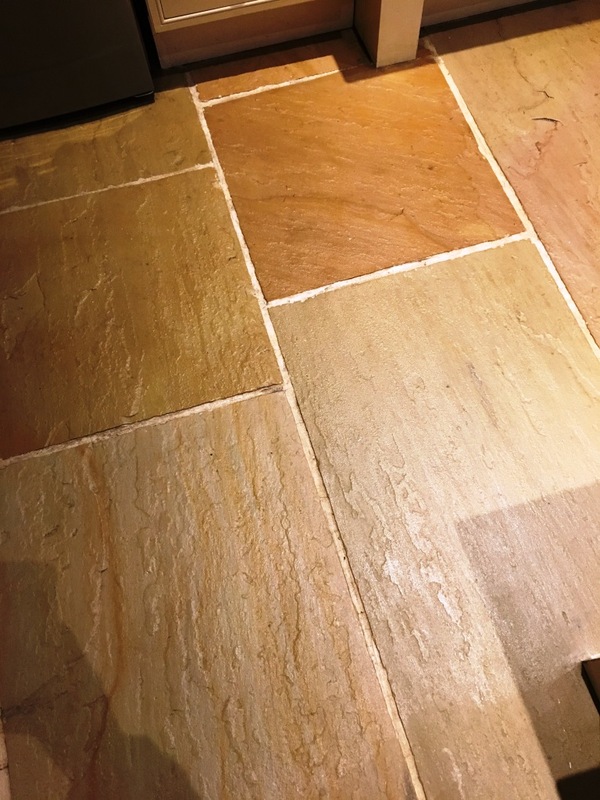 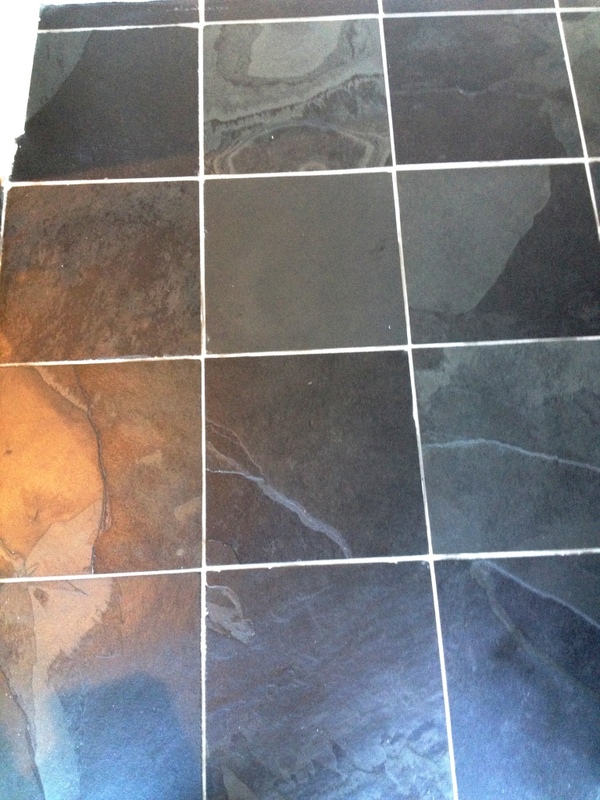 To start with, we cleaned the tiles and grout with Tile Doctor Pro-Clean which is a strong cleaner which being alkaline is safe to use on stone. 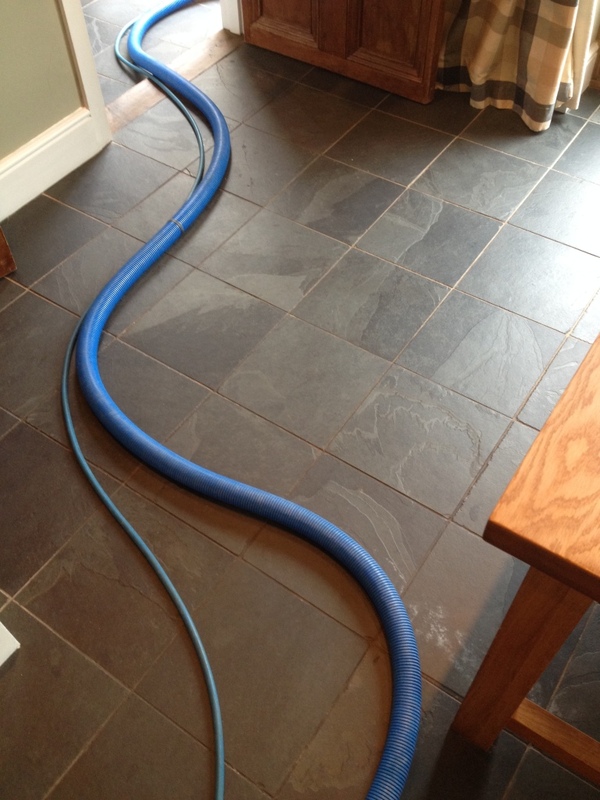 The floor was then rinsed thoroughly with water and removed the soiled water with a wet vacuum. 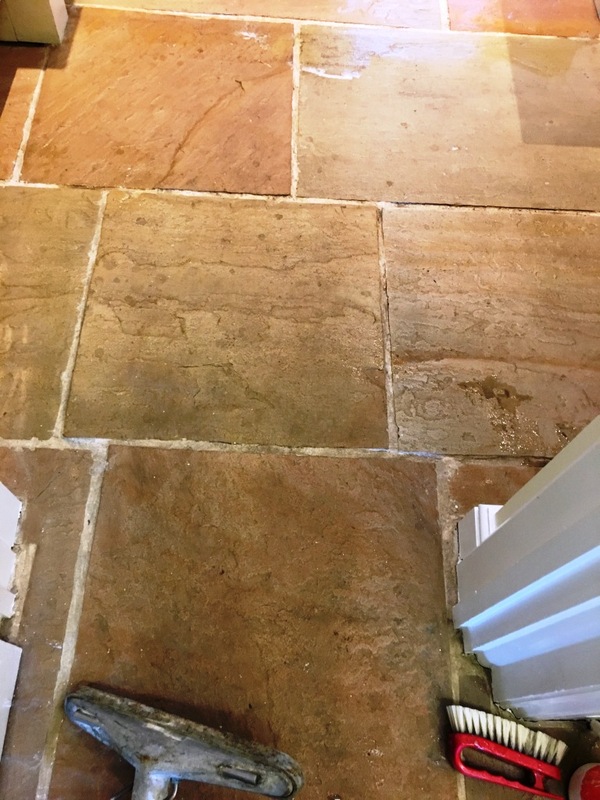 Following the initial clean we then proceeded to re-surface the tiles with Tile Doctor diamond burnishing pads which come in a pack of four pads of different grades from coarse to extra fine. 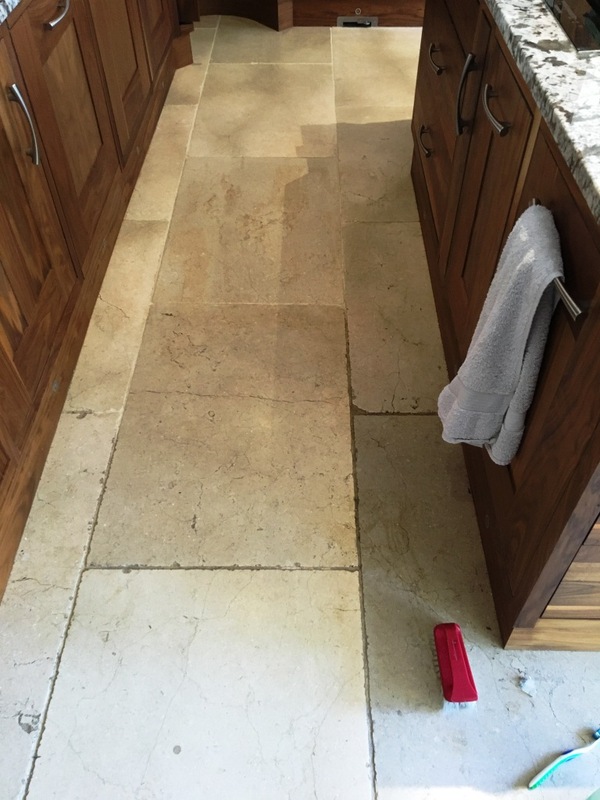 This cut back through the tile to remove the etch marks, then by applying the finer grades of diamond pads resurfaced the Travertine and brought back the shiny finish that was missing. 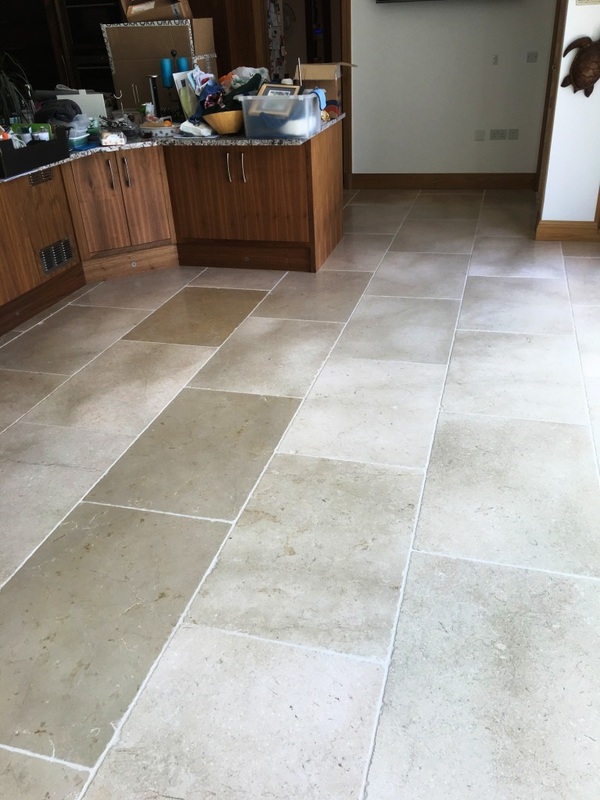 The floor was given a final rinse with water to remove any soil created by the burnishing which was then extracted using the wet vacuum and left to dry off overnight. 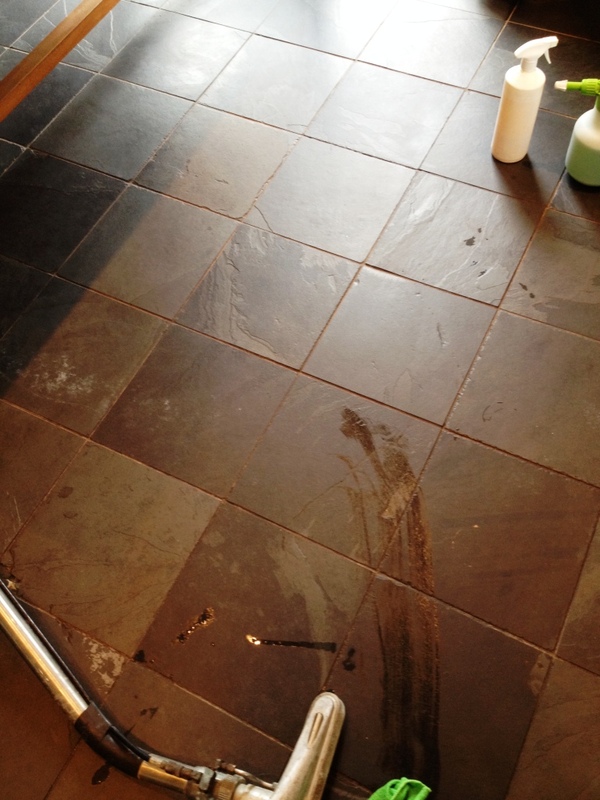 I returned the next day to seal the floor, checking first that the floor had dried overnight which it had. 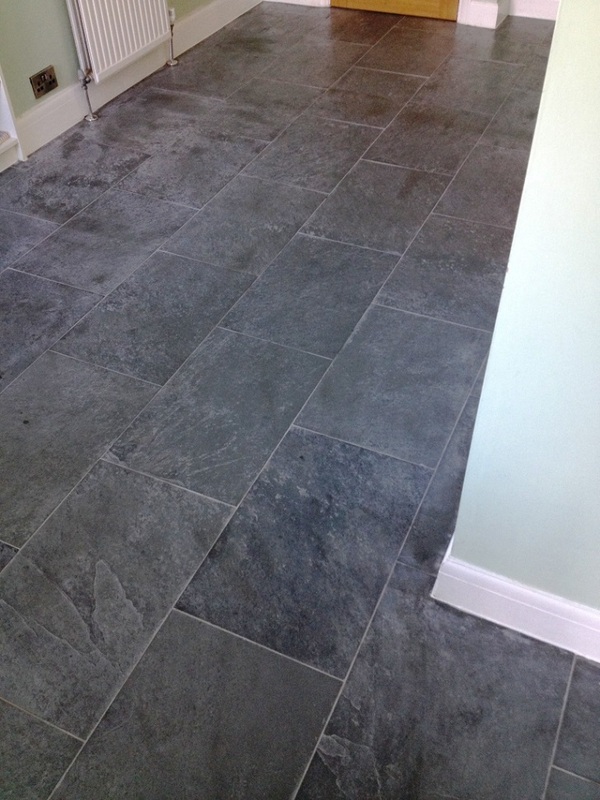 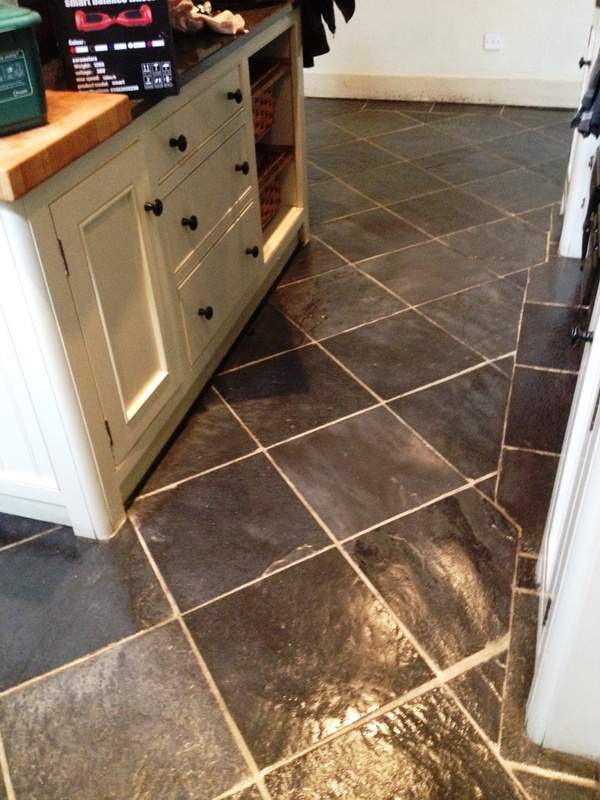 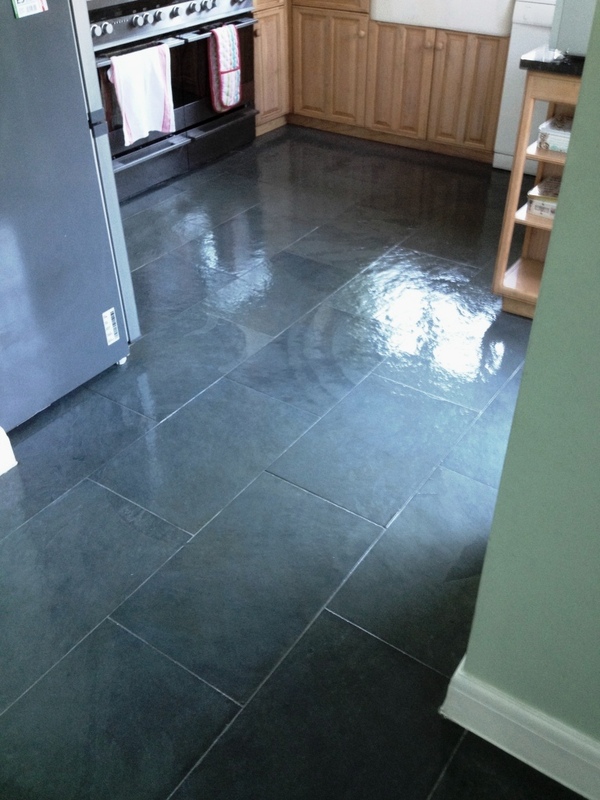 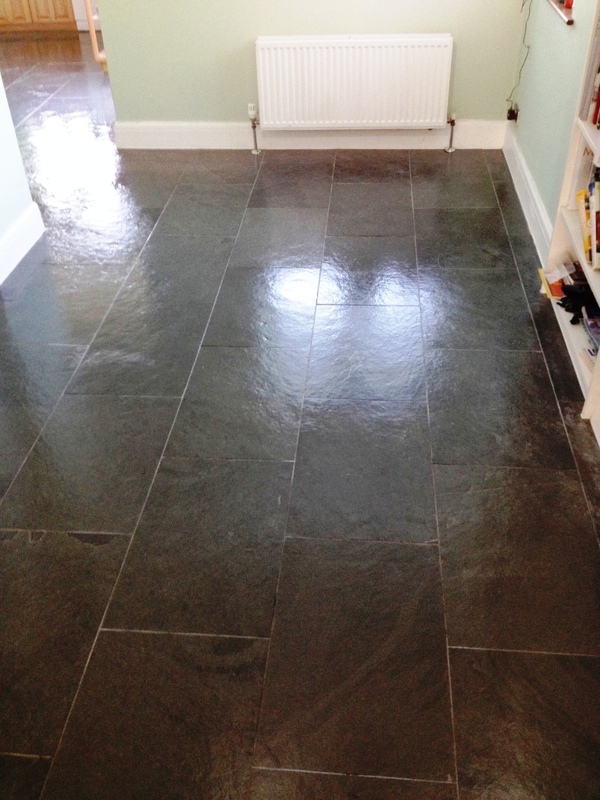 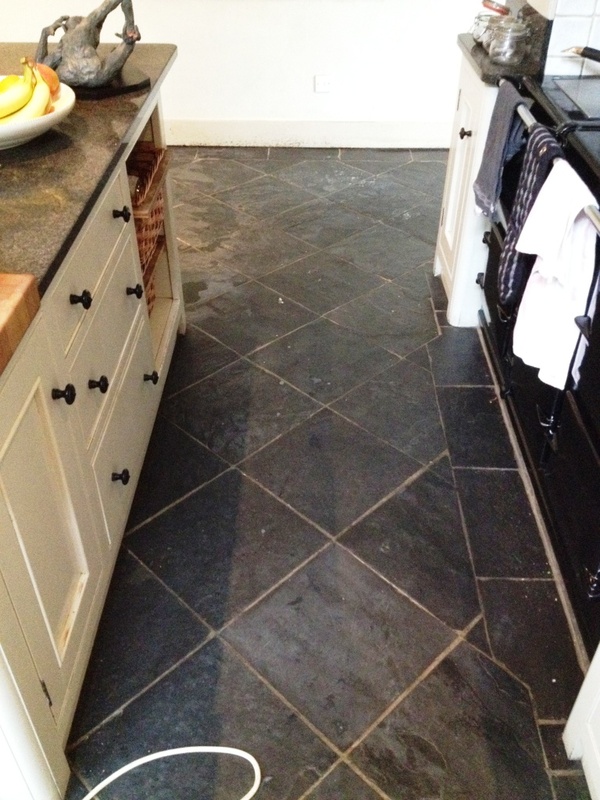 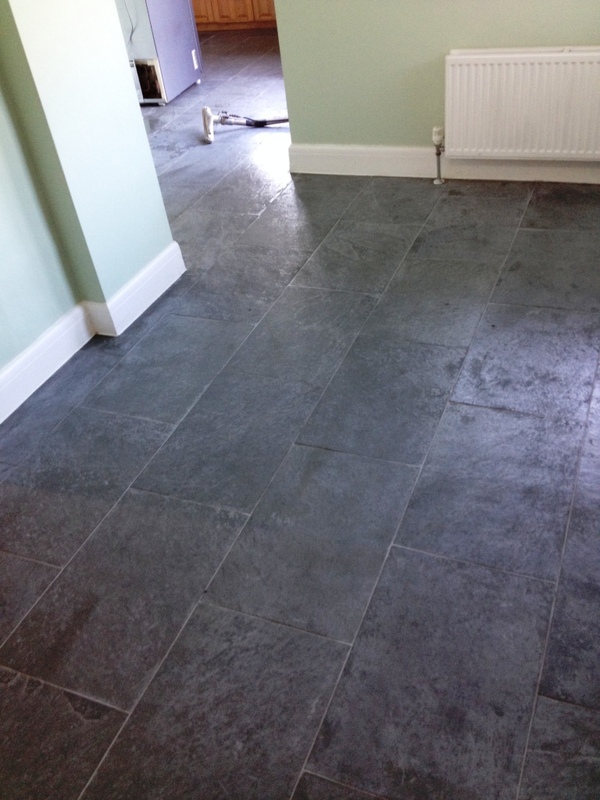 Two coats of Tile Doctor Colour Grow were, making sure that the first coat had dried before applying the second. 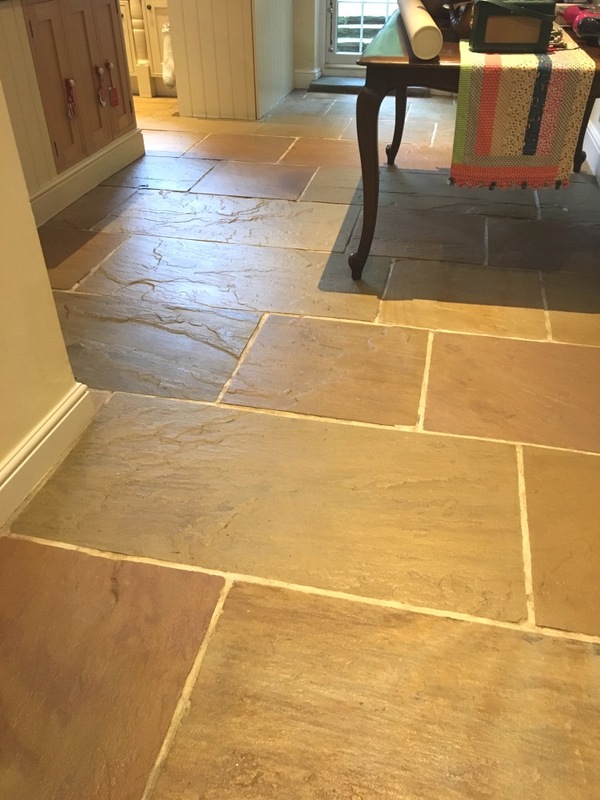 Colour Grow is an impregnating sealer that soaks into the fine pores of the stone protecting the floor from within and ensuring that soils and spills are easily removed. 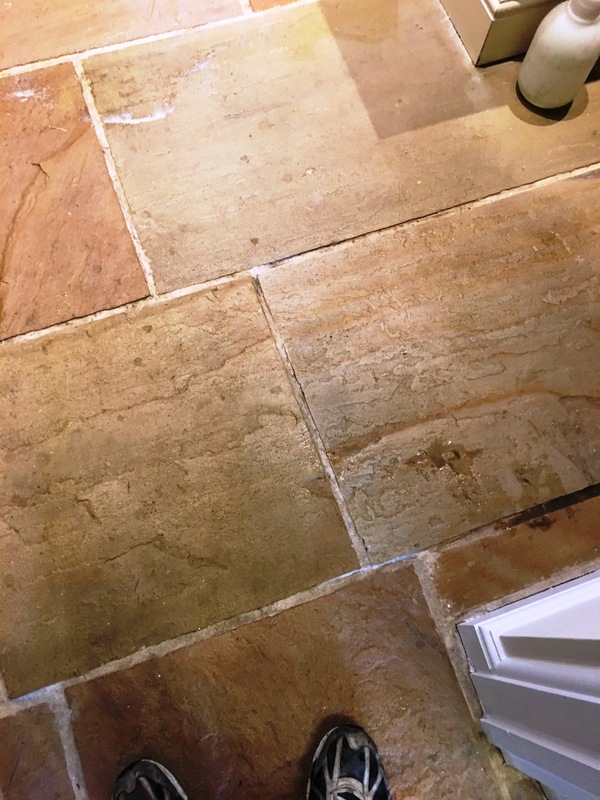 For the regular cleaning of stone floors, we recommend Tile Doctor Stone Soap which has been specially designed for the cleaning of polished stone floors.